It's very quick to change solid image PNG files to be able to use them in the Silhouette and Cameo digital cutting machines. Maya Road Classic Card Kits offers free digital cutting files along with each kit release. 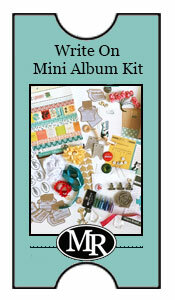 These are fun files that enhance each kit and can be used unlimited times. The digital cutting files come in two file formats. An SVG file option that works great in the Cricut and various other machines and a PNG file option that works well for use in the Silhouette and Cameo Digital Cutting Machines. Today we have a tutorial to share with you on how to use the PNG files in the Silhouette Studio program. We've included lots of screen shots for you. Don't be dismayed, this is just to break it down and make the process very simple. It's very quick to do! One thing to note is that by clicking on the images, you can enlarge them to see the detail better. Download and save the png file to your computer in an easy to find folder. Open your Silhouette Studio program on your computer. Click on File, then click on Open. Your screen should look something like the image above. In the pop-up window, go to the Files of Type selection area and click on it for file options. Select the png file option to view the correct files. Navigate to the folder where you saved the png file after downloading it. Select OK. Your screen should look like the above image. Note: At this point I resized the images a little bigger for this project. One of the great things about digital cutting files is you can cut them in many sizes. This is not necessary however. One thing to note with this particular cutting file is that it is quite detailed so it would be best not to make the cutting file smaller. Next, go to the top right of your screen (follow that red arrow in the image) and click on the Open Trace Window button. It looks like a blue clover with a yellow border. Click on Select Trace Area in the pop up window. Then select and highlight the cutting file with your mouse. Your screen should look like the above image. Select Low Pass Filter in the right pop up window. Adjust the Threshold slider until image is fully yellow but does not lose detail. In the Apply Trace Method box, click on Trace. You can then select the original black file and move it to the right. You should see red traced lines which are the cutting lines. Delete the original file by clicking on delete on your keyboard when the file is selected. Click Send to Silhouette button. Follow the instruction in the pop-up window to the right. Apply paper to cutting mat and click on Cut. Our latest free coordinating cutting files are for the Hello Actually Classic Card kit. Click here or on the above image for a link to the cutting file downloads. Our stunning and vibrant new Classic Card Kit, Hello Actually is perfect to use with the Hello Actually Digital Cutting Files. 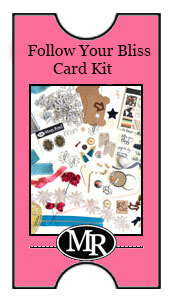 If you're looking for a fabulous new kit, exclusive stamps and fun embellishments at an amazing price, this is it! You can purchase the Hello Actually kit here. Check back in tomorrow for a project featuring the Hello Actually Kit and coordinating digital cutting files! Thank you for a very simple and clear tutorial. I just used it to prepare for Sunday school. Thanks for the time you put into preparing this post. Very good info! These steps worked perfectly. thanks. Does this work with the sketch pens as well? I am having a hard time sketching a design. Thank you.